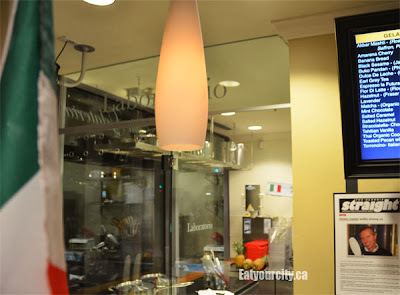 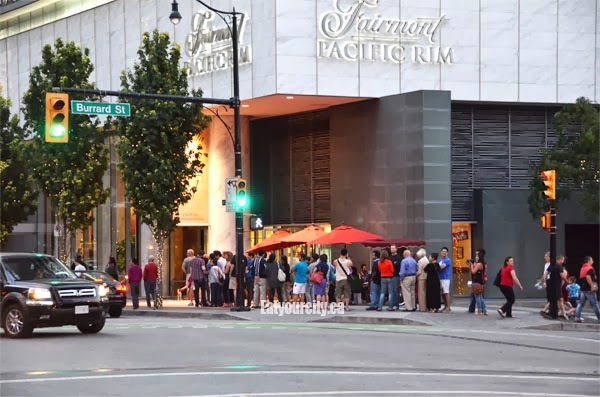 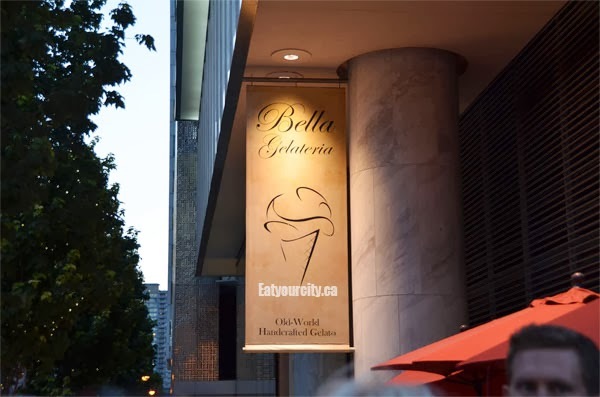 Eat Your City: Bella Gelateria, Vancouver, BC - well deserved award winning gelato and sorbets! Bella Gelateria, Vancouver, BC - well deserved award winning gelato and sorbets! Posted by We only managed to fit in gelato once at Bella Gelateria (sad! 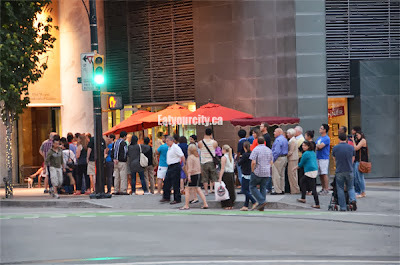 ), but our foodie friends more than made up for us, having several flavors for almost every night they were in town! 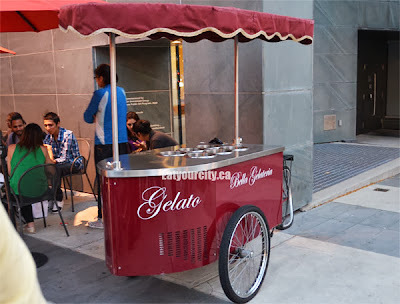 And yes, its a must try as their award winning gelato (awards from Italy so they count more lol) are well deserved indeed! 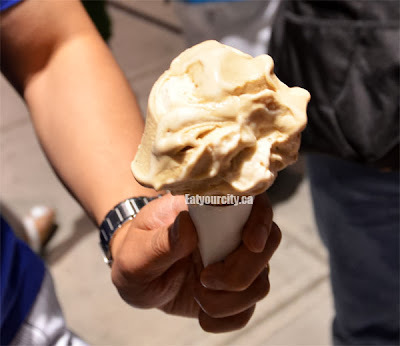 If you have no idea what gelato is, its time to get your head out from underneath that rock and go to town almost guilt free. 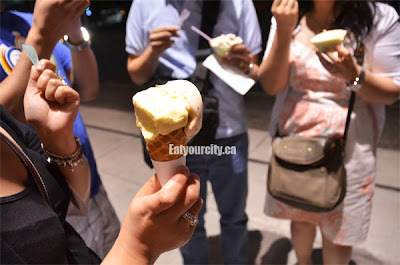 Gelato is similar to icecream in that its cold, sweet and that's where the simularities end. 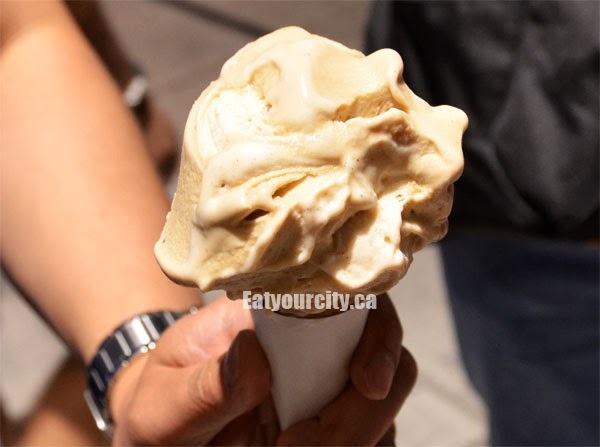 Made traditionally with milk (not cream) with additions of fruit syrups, nuts and other flavoring ingredients, gelatos are smooth, creamy and refreshing way to cool down... or find some other excuse to eat it! Head there early, or just pay for the ridiculous downtown parking meters nearby... this was prime time after supper (heh) as the lineups are long and standard. We took random shots of the small kitchen in the back where the magic happens, the small patio (and empty gelato cart) and the main venue itself as we waited in line. Flavors change constantly in tune with whatever fruit is seasonal, and whatever crazy ideas pop into James (he's the guy behind the awesome small batch handcrafted gelato he makes in equipment used in Italy!). 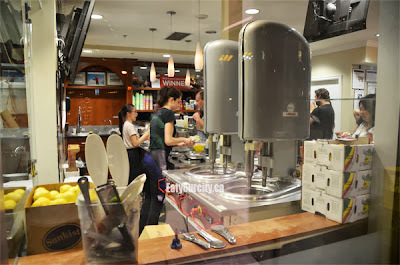 Our favs of the night included Earl Grey Tea (NOM! ), Hazelnut, Black Sesame, Organic Green Tea Matcha, Dark Chocolate, Stracciatella (Chocolate Chip), Tahitian Vanilla as well as sorbets: Blueberry (Krause Berry Farm) and watermelon (not all pictured) plunked into little cups or into crisp waffle cones.